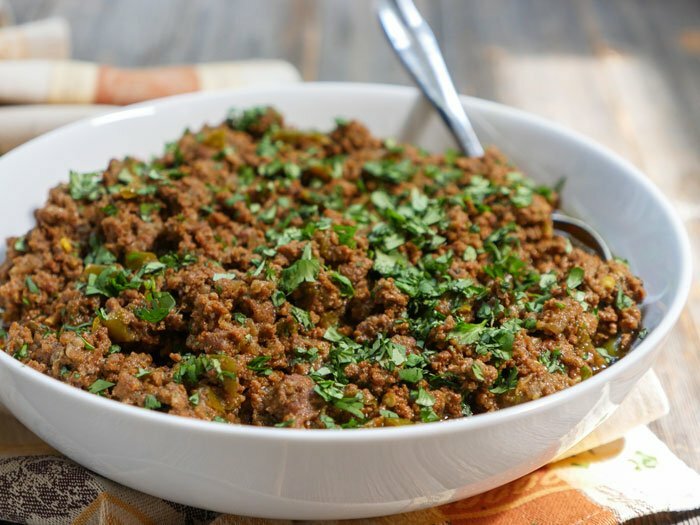 This Instant Pot taco meat is so flavorful! I love cooking taco meat in my Instant Pot because I can make a big batch and feed my family throughout the week. I enjoy making and eating traditional tacos but when it comes to leftovers I try to be creative by using the meat in breakfast tacos with eggs or potatoes, on top of salads, or in a “burrito” bowl with rice and fun taco toppings. 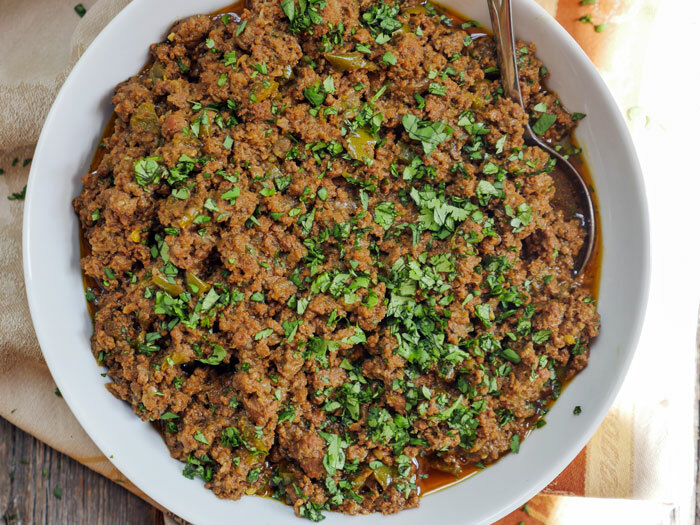 This is the most flavorful taco meat that you’ll ever meet! 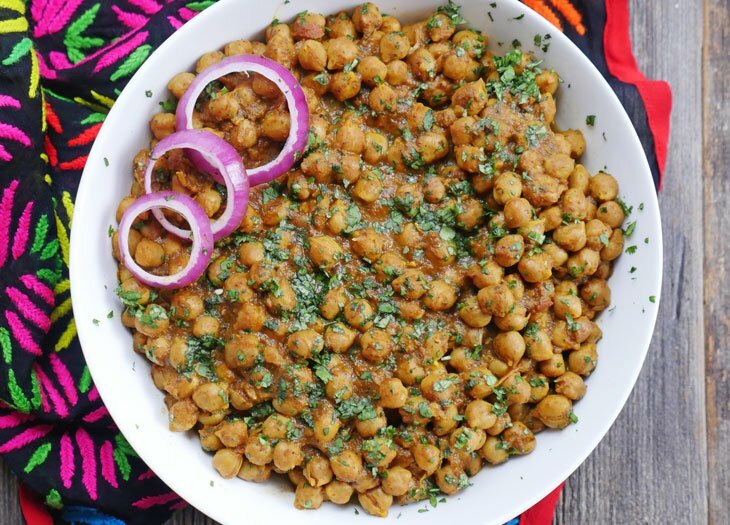 It’s delicious served with tortillas (like my paleo naan), over salad or on top of nachos. I love this recipe so much that I’ve made it twice in the past couple weeks and have been happily enjoying leftovers. Whenever I make taco meat, I like to freeze a portion of it for a lazy cooking day. It makes for awesome leftovers. This recipe is delicious as is – but if you want to stretch the meat out to serve more people or to last you a little longer, you can add some chopped potatoes to it. I’ve done this – and it’s fantastic. I love making taco meat in my Instant Pot because it’s my favorite kitchen gadget ever. It cooks everything super fast and I really feel like it intensifies the flavors of the seasonings that I use. One thing you have to keep in mind when making this recipe is that meat can sometimes release quite a bit of liquid. That’s why I don’t add any additional water to the Instant Pot before making this taco meat. Even without adding liquid, I have to boil off some water that the meat naturally releases. Once I remove the lid from the pot, I press the sauté button to boil off any remaining liquid. Then, I top the meat with lots of cilantro and use it in all different sorts of ways: tacos, burritos, on top of salads, in a “burrito” bowl, etc. 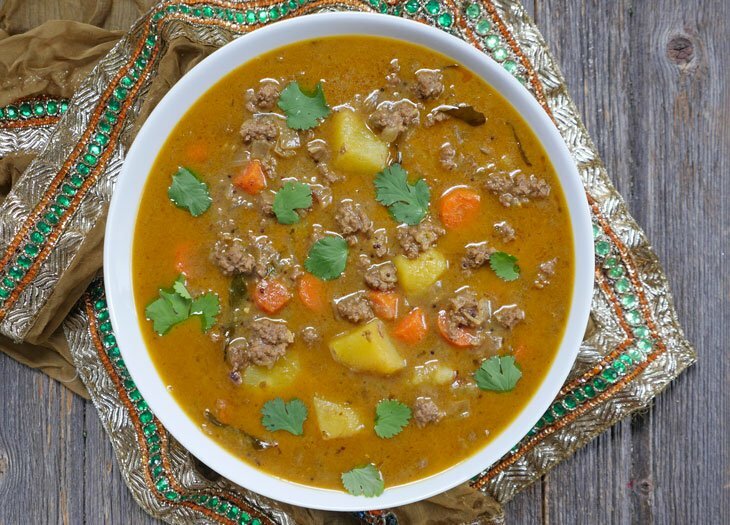 Add all of the ingredients to the Instant Pot except for the ground beef. Press the “sauté” button and stir-fry for 5-6 minutes. Then add the ground beef to the pot and cook until mostly brown. Naturally release pressure (or you can quick release too if you’re in a hurry). Open the lid, and if the meat released any liquid then press the sauté button to boil it off. I do not add any additional water to the Instant Pot prior to cooking this because meat naturally releases water as it cooks. You can add a bit of water if you’d like, but you’ll need to boil it off at the end by pressing the sauté button once it’s done cooking. Could you follow the same directions with ground chicken or turkey? Or would you adjust time? Mina, you can use ground chicken/turkey instead of beef. I’d keep the same cooking time (to help the flavors come flavors together). The meat will likely cook in less time though so it’s up to you! Do you need to drain the grease from the burger? Can you use 75 or 80%lean ground beef? Thank you so much! I don’t but you can if you’d like! And yes, you can use any ground beef that you’d like. I typically use grassfed which is lean so I don’t end up with a lot of grease. Trying this tonight!!!!! 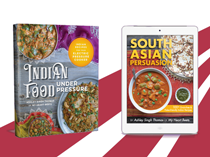 And saving some of you other instant pot recipes to try! Would this work with frozen ground beef? Yes, it’ll just take a little longer for the meat to thaw/brown on saute mode. How would I adjust the cooking time if halving the recipe? Setting it for 30 minutes in the pressure cooker doesn’t make the meat turn into mush since it was already mostly cooked before that? I’m just wondering how the texture will be since ground meat cooks fast already. I am making this now and just reading the comments. In this comment you mentioned setting for 30 mins, but in the recipe it says 10? Just wondering about this? Otherwise it smells great so far! Thanks!! Hi Kristin! I updated the recipe after finding that 10 mins works just fine 🙂 Hope that helps! Would you put the potatoes uncooked in with the recipe, or cook them separately and add later? Actually, you can also add them in step 6! I’m following the Fast Metabolism Diet and can’t use oil during certain phases. Is there a way to do this recipe without the oil? OMG this is wonderful!! My husband and I had it for Mexican xmas this year, in burritos & taquitos. And then … the leftovers spiced up our favourite Hamburger Soup. Wow! Keep up the good work. Happy to hear that 🙂 And hamburger soup sounds amazing! 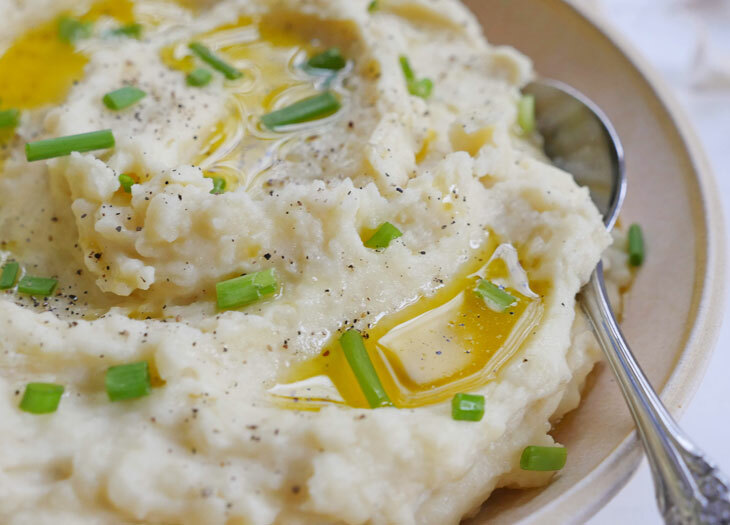 I’m using my instant pot for the first time with this recipe! When you say “make sure the steam valve is closed” do you mean “sealed” setting? Thank you for this wonderful recipe! The meat has a complex flavor that reminds me of one of my favorite restaurants. I’ll crispy make a double batch next time to have extras for the freezer. Absolutely delicious! 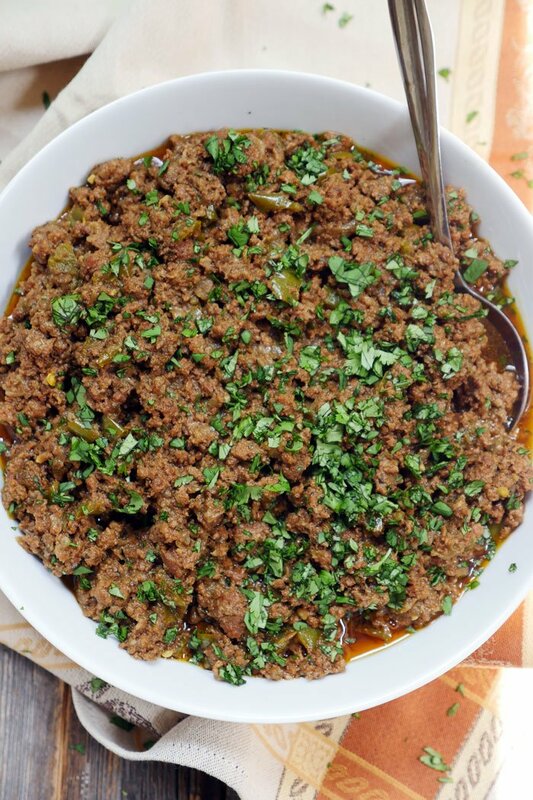 I make my own taco meat all the time but never thought to use my Instant Pot…what a revelation! I used ground chicken and halved the recipe; I added about half a cup of tomato sauce, a teaspoon each of coconut sugar and apple cider vinegar before switching into bean/chili mode (the recipe I’ve used for a decade includes these ingredients and I find it makes a huge difference to add a splash of acid and and a dash of sweetener to taco meat). Loved the spice combination and the great flavor that developed by cooking this under pressure! Just made this and it’s fantastic! My bf said it’s so good he could rub it all over his body! Ha ha! He’s hard to please! Can’t wait to try your other recipes. Delish! 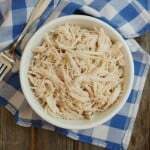 If I wanted to double this recipe and make it in my 8 quart Instant Pot, how long do you think I should cook it for? This sounds really great! Thank you! Hi Beth, you can keep the time the same – the Instant Pot will just take longer to reach pressure before it begins the countdown due to the extra meat inside. Hope that helps! Let me know what you think of it! Is the manual setting meant to be on Low or High? I’ve made this twice now, and it’s so incredible. I absolutely love the spice combo in the meat. My six year old and husband are also addicted. Very easy and delicious. Thanks for a great recipe, this will be in my rotation from here on out! Hi Lisa, you can use either button – as long as you cook at high pressure for 30 minutes 🙂 I’m in the process of changing my directions as some of the newer models have different time settings. I just made this to use for meal prep bowls for the week, and it is fabulous! I kind of questioned cooking under pressure for 30 minutes, then having to simmer it to reduce the liquid when I read the recipe. Seemed like an awful lot of work/time for just some taco meat I could do faster on the stove. I decided to try it out anyways bc I love the recipes on this site, and I love tacos. Thank you for providing such a delicious, clean recipe! Hi Beth! That’s so great to hear! I’ve actually reduced the cook time to 10 minutes after hearing feedback from my readers and it’s just as good! Thank you for the helpful comment – it will definitely help other readers! Thank you. 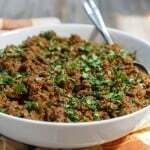 My family’s favorite taco meat recipe so far. I’ve tried several! Cynthia, that’s so great to hear! Thanks for letting me know how much you and your family like it! Trying this as my first meal in my new instant pot and I am a bit nervous. I am a beginner cook. I am still confused in reading through the comments on this thread. You mentioned to cook on high for 10 minutes while others said 30 minutes on the chili mode. When I enter on high for 10 minutes does the pressure cook come to pressure and at the 10 minute mark it is done cooking and releases valve on its own? Or do I need to hit the quick release valve myself? A bit confused with the whole valve thing. Also how many would you say the recipe feeds? 6-8 adults? Hi Emily, I changed the cooking time to 10 minutes after more testing/feedback and it works perfectly! I suggest following the directions in the recipe card and you’ll be set! Once the cooking time is done, just turn the valve to release pressure and once the pin drops, you’ll be able to open the lid. And I’d say it feeds 6-7. If you try this, please let me know what ya think! Thank you so much for this recipe. I made this tonight. 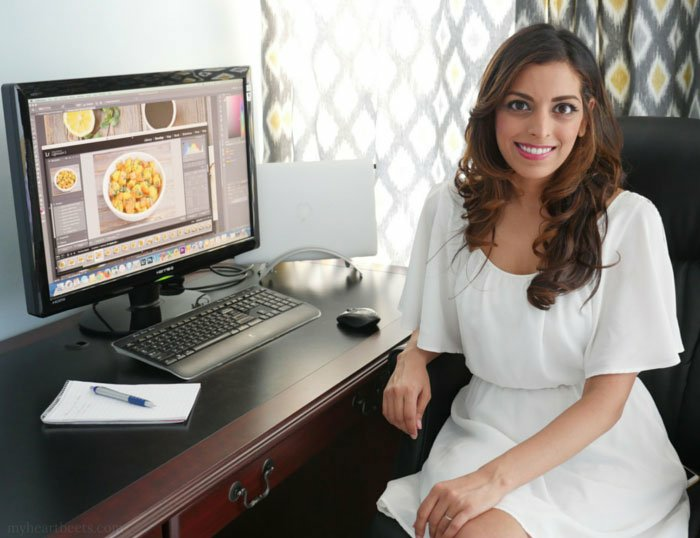 It’s the second time I’ve used my Instant Pot and it helped me learn more about what it can do. Thank you for this recipe! I haven’t tried it yet but wanted to ask: do you drain the fat from the ground beef? Or no? Do you think this would also come out well if you just threw everything in the pot and cooked without sauteeing? Would the cook time stay the same? I need to cook 7-8 pounds of taco meat for a party this weekend. Think I can safetly do it in one batch (I have the instant pot duo 6 quart). This is our go-to taco filling. Our family loves it! Just doubled the batch and used an Elite electric pressure cooker and followed the directions exactly. Turned out scrumptious. Made this tonight and it’s hands down the best taco meat recipe I’ve ever made. My husband loves it too. I only did a pound of ground beef so I halved the seasonings but kept cook time the same. So, so good. I’ve been looking for a good taco recipe for years and I finally found it! Thank you. Not sure what went wrong but mine came out the consistency of chili. No amount of saute mode boiling got rid of the liquid. Despite that, it was delicious. A huge hit at my company potluck and my husband and 9 yr old raved about how good it was. No one minded eating tacos for dinner 3 nights in a row. My first instant pot recipe to try besides steel cut oats. Was very successful. Thanks, glad I found you and can follow you on Pinterest and here. Teresa, I’m so happy to hear that! Glad you found my blog too! Could taco seasoning mix be used with the meat instead? 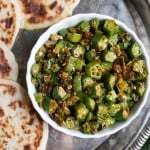 Hi, I was wondering how spicy (hot) is this recipe? I love tacos but have a low tolerance for spicyness 🙂 I know it’s relative but would you say is hot? medium? mild? 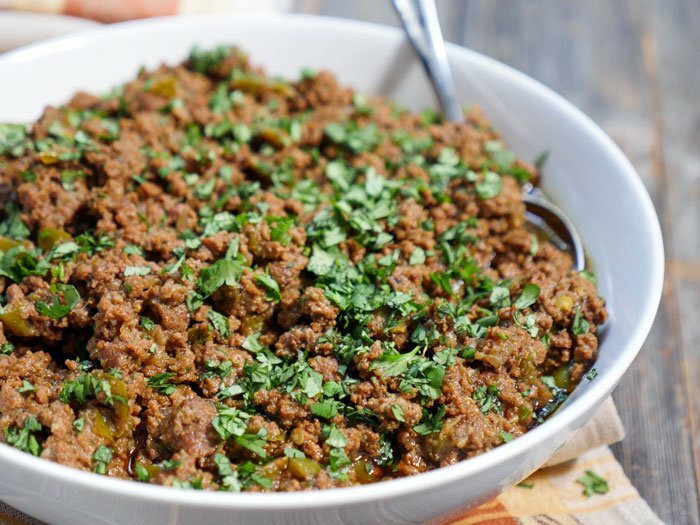 Incredibly obsessed with this recipe – I haven’t made taco meat any other way in over a year and I always come back to your site to make sure I get it just right! THANK YOU! So my family cannot eat green peppers. Do you think that leaving those out will affect the moisture in the meat as it cooks? Does it matter what percentage of fat the beef has? I hope this helps my son enjoy tacos more! This is a weekly staple now. We eat it over sweet potatoes and sauteed cabbage for lunch. It reheats beautifully, maybe even better the next day. Ashley’s skill with blending spices is very impressive!!! Made this tonight. Tremendous! Definitely a future staple. I’ve made this recipe twice in as many weeks. Last night I subbed 1lb of black bean & brown rice (which I make in huge batches in the instant pot and store in the freezer) because I only had 1lb of beef handy. Required a bit more liquid (1/2 cup). Very authentic tasting! I like to finish it off with the juice of 1 lime after step 6. I like the brightness of the lime but it is still amazing without. Darcy, so happy to hear that! And thanks for sharing – I’ll have to try it that way some time! Can you start with frozen meat? 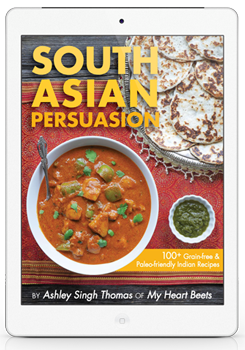 We processed our own grassfed beef, but reading this I want to try it NOW and don’t have meat thawed! New Instant Pot user- your recipes are where i am starting! Heather, so happy to hear that you’re starting with my recipes! 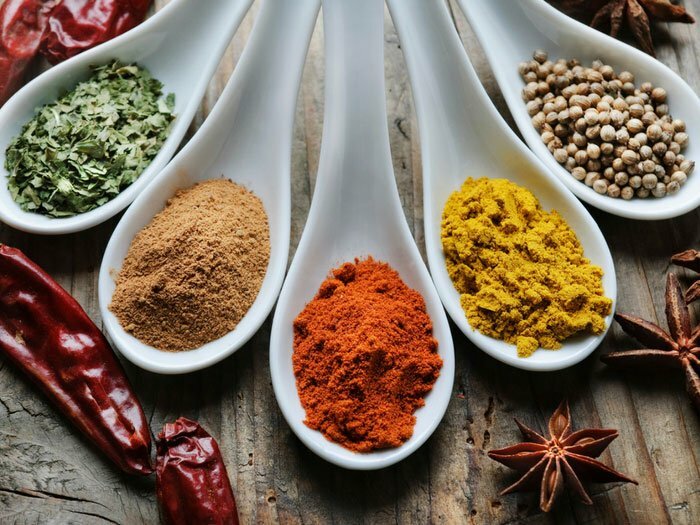 If it were me, I would probably sauté until the meat thawed to make sure it mixes well with the spices – I know that will take longer since you’re starting with frozen meat. Technically I think you can pressure cook the whole frozen chunk of ground beef then sauté at the end to boil off any additional liquid that released – I just haven’t tried it this way. Let me know if you do that and how it goes! How do you get the beef broken down while cooking? Is that why you sauté first? If so then why Pressure cook? I usually cook 4-5 pounds of beef and pork mixture and package into small bags and freeze. It takes for ever. This seems so much faster. Can I do that much at one time? Yes, you can cook more meat at a time. Pressure cooking helps to really infuse flavor in the meat, give it a try and let me know what you think! I have a 3 quart instant pot. What size is this recipe for? 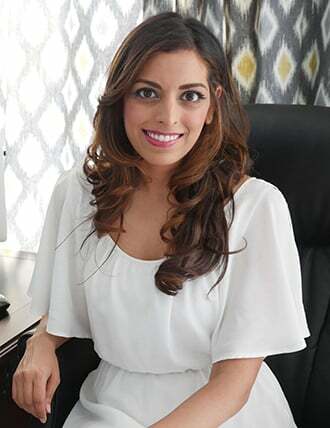 Hi Neelam, all of my recipes are made with a 6 quart. You can try halving the recipe for the 3 quart but keep the cook time the same. I made this for my family using ground turkey. My husband didn’t even realize it was ground turkey until I mentioned something about it. We’ve added this into our regular rotation! I don’t usually review recipes, but this one is fantastic. Seriously. Make this tonight! You won’t be sorry. Thanks so much for posting! Made this tonight- SO good. Thanks for sharing this recipe! Amazingly good! So flavorful! I just made this with ground turkey minus the green pepper and cilantro. I couldn’t help adding some water, but I just used a baster to remove excess water. This one is a keeper— thank you! How many servings does this make? Roughly how many tacos would I get from 2 pounds of grass fed beef? Delicious! I left out green peppers and basil, and added red potatoes in the 6th step as suggested. It’s spicy, but you don’t notice how spicy until you eat a couple of them! That’s the best kind of spice! Will make this again! I made this recipe today with the only variation was that I only added 1/2 tsp of chili pepper. 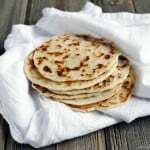 It is the best recipe taco rwcipe I have tried!! It is delicious and easy to make. Did not added water and put it in the sauté option at the end to boil the water down!! It was amazing! I made this today , I did add a small can of tomato sauce and then I put it on sauté to get rid of the extra liquid at the end ! It’s a keeper ! Thank you for this Great easy instant pot taco meat meal ! We loved it ! DELICIOUS! I want to print it on my nice recipe paper, but I can’t get it to print without the ads. Any ideas? 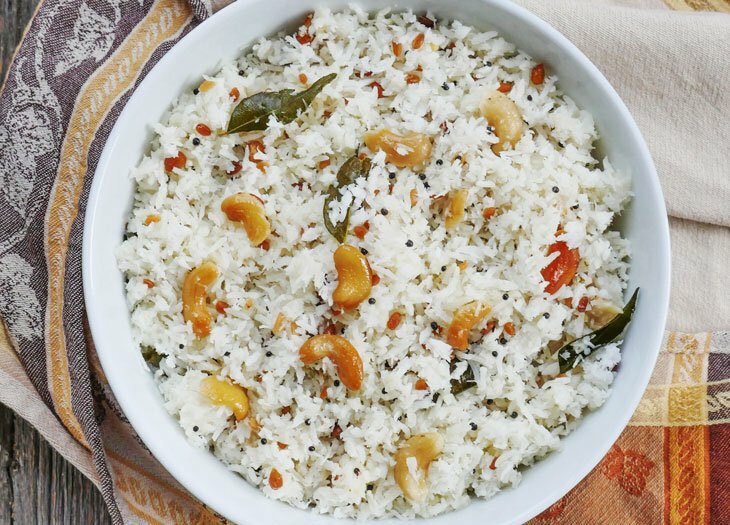 Can you double this recipe in the instant pot? Amazing! Best taco meat I have ever made! Will try using leaner meat in the future to make less greasy but I can’t complain. First recipe from this site, but will look for more soon! What do you mean in step three when it says add the ground beef and cook until browned? How do you cook it? The spice combination is delicious. I used 90/10 beef and did not drain the fat. Just required a little sauté at the end. This one is a keeper! Really enjoyed this one. Definitely in the Dad toolbox.